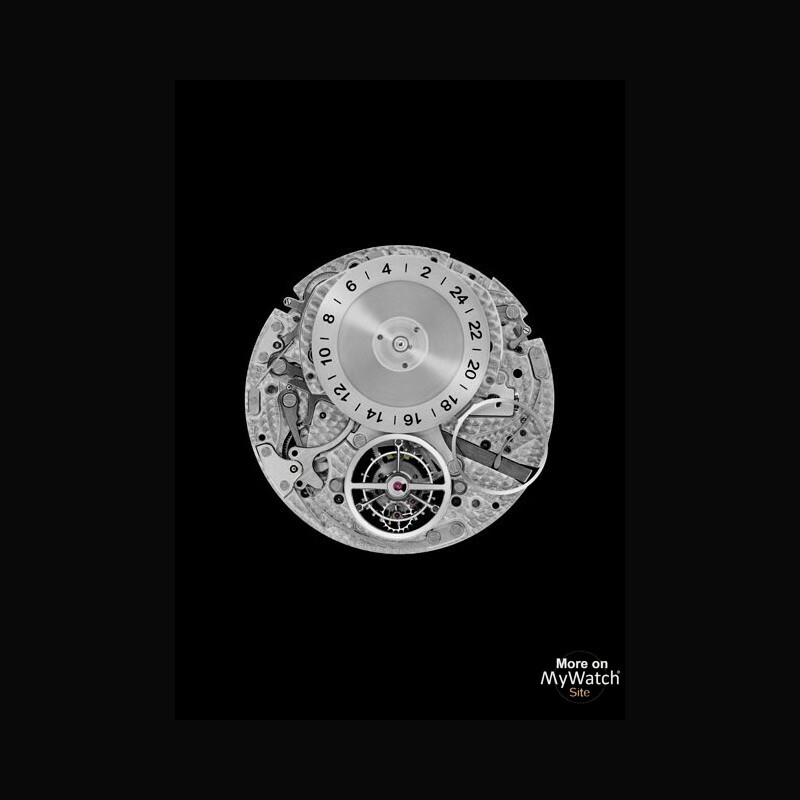 Today, this dynamism finds its strongest expression through the release of signature watches that shine with the outstanding character of Fine Watchmaking. Astromystérieux, Skeleton, Crash, Rotonde Earth and Moon... 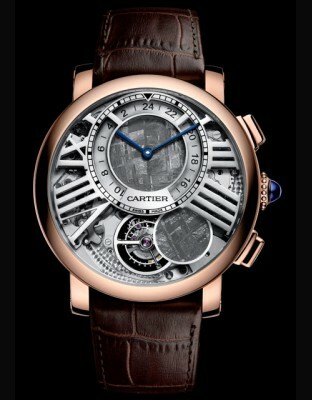 These are terms that immediately identify a common denominator: Cartier, with all its history and its knack for matching an era with a style, the past and present with the future, daring with discipline, solid with void, earth with moon, technique with emotion. 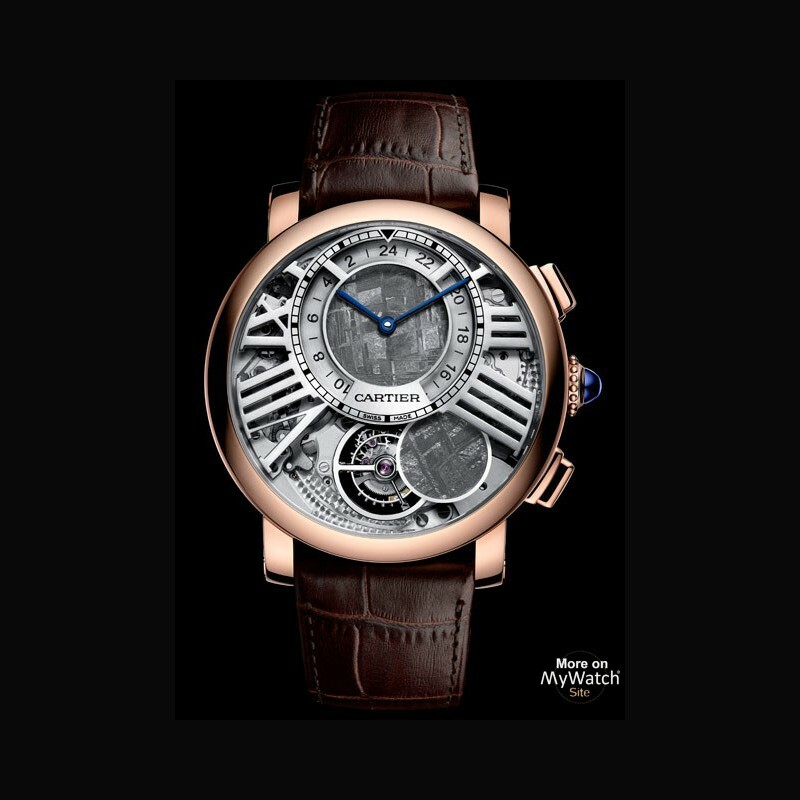 Through the open-work architecture of its dial and the unique complication of its movement, the Rotonde de Cartier Earth and Moon watch follows in the highest tradition of Cartier Fine Watchmaking, concentrating some of its most distinctive aesthetic and technical signatures. It owes its name to the presence of its two sub-dials representing the Earth and the Moon, both cut out of polished meteorite stone, chosen by Cartier to enhance the model’s astral theme, initiated in 2014 with a first version made of platinum and lapis lazuli. 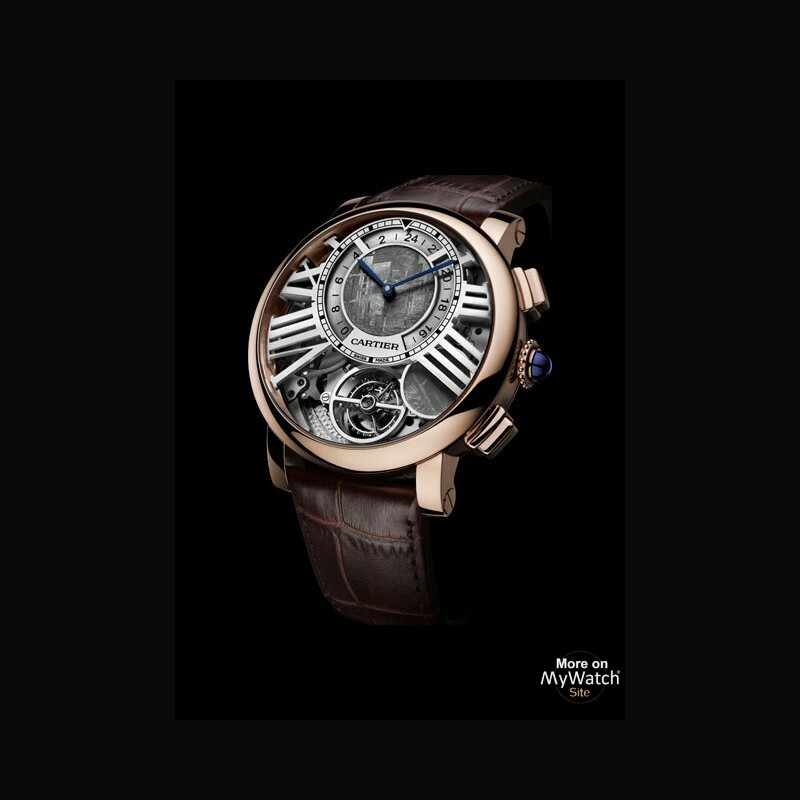 With this double imagery, the Rotonde de Cartier Earth and Moon watch juxtaposes two indications through an audacious interplay of displays: on one side, a terrestrial display showing local time and a second time zone indication represented by a 24-hour disc; on the other, a lunar display with inter-dependent tourbillon and on-demand Moon-phase indications. 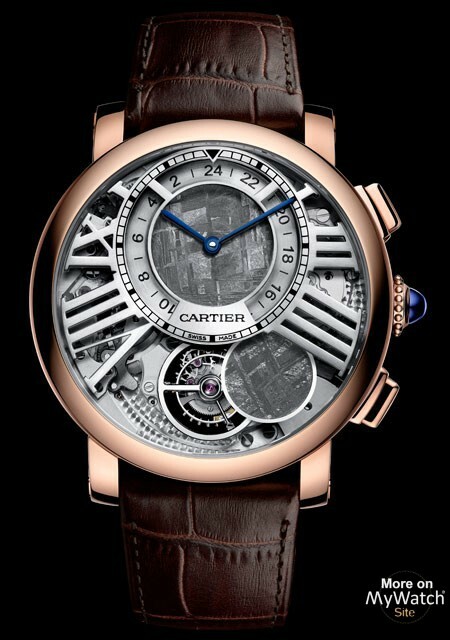 This movement required the development of made-to-measure solutions on the part of Cartier. The push-piece at two o’clock provides a straightforward way of adjusting the second time zone indication. 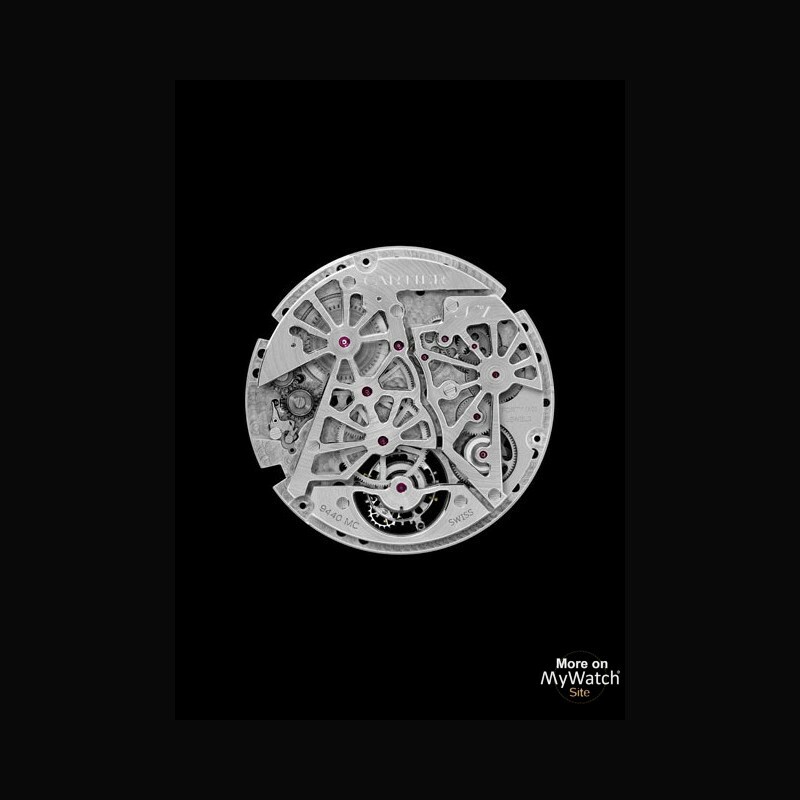 For its part, the push-piece at four o’clock activates on demand a disc that slides across to conceal the tourbillon cage. The crescent thus formed reproduces exactly the Moon’s shape in the sky with accuracy offset by just 1 day every 126 years. 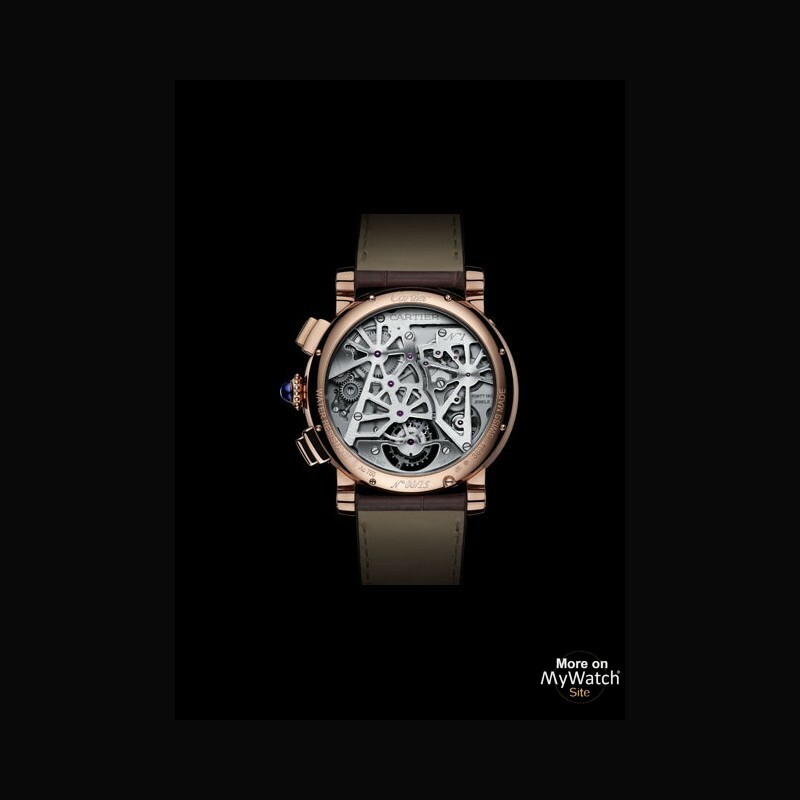 Together, the complications of the Earth and Moon watch, presented this year in a pink gold version, make up a creative and vivacious universe in which its skeletonised Roman numerals underline Cartier’s dynamics for Fine Watchmaking.